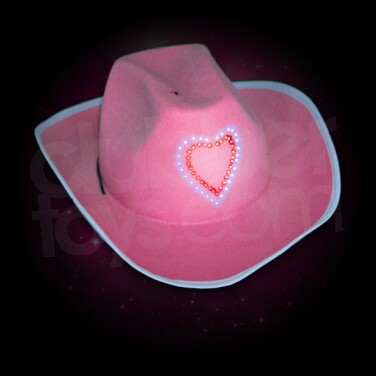 A must for cowgirls everywhere, these furry pink cowboy hats are great to wear at on hen nights or on girls night's out. Accessorise your night out with your friends with these fantastic hats which flash with blue and red lights in the shape of a heart. Replaceable button cell batteries (included). Flashing Pink Cowboy Hats Make your Friday night an adventure and dress up in Flashing Pink Cowboy Hats! Fabulous for would be cow girls, hen nights, and those who want to have fun, stand out from the crowd! 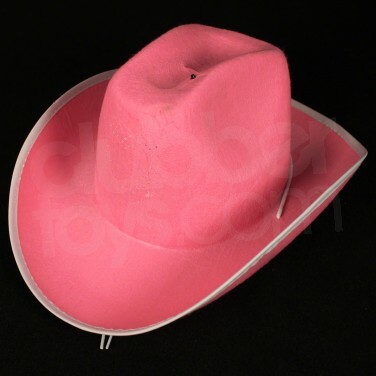 For larger quantities see our Flashing Pink Cowboy Hats Wholesale section.